Buy Ritchies Fermentation Bucket + Lid 10lt online from our UK Homebrew Shop. We sell Plastic white Fermentation Bin Bucket 10 litres (2 gallon) + Lid and other genuine Ritchies products in the UK. Use this fermentation bucket for all your beer making. Comes with lid. 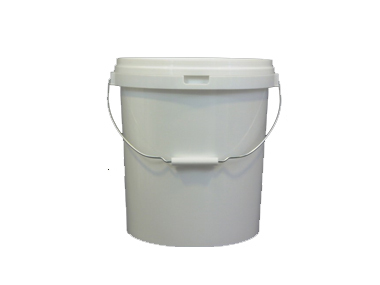 This 10 litres (2 gallons) fermentation bucket is useful for when making wine from scratch. To let the fruit soak in the first stadium. Where to buy Ritchies Fermentation Bucket + Lid 10lt safely online? Shop at the Stirling Homebrew Shop if you are wondering where you can buy Plastic white Fermentation Bin Bucket 10 litres (2 gallon) + Lid safely online in the United Kingdom. Fermentation Bucket + Lid 10lt - Plastic white Fermentation Bin Bucket 10 litres (2 gallon) + Lid in Homebrew Accessories and Homebrew.